Bain Taxation are your Tax and Small Business Accounting specialists. Bain Taxation is a full service accounting firm which is located in Mandurah, Western Australia. They provide tax, bookkeeping and accounting services for individuals, partnerships, sole traders, companies and trusts. 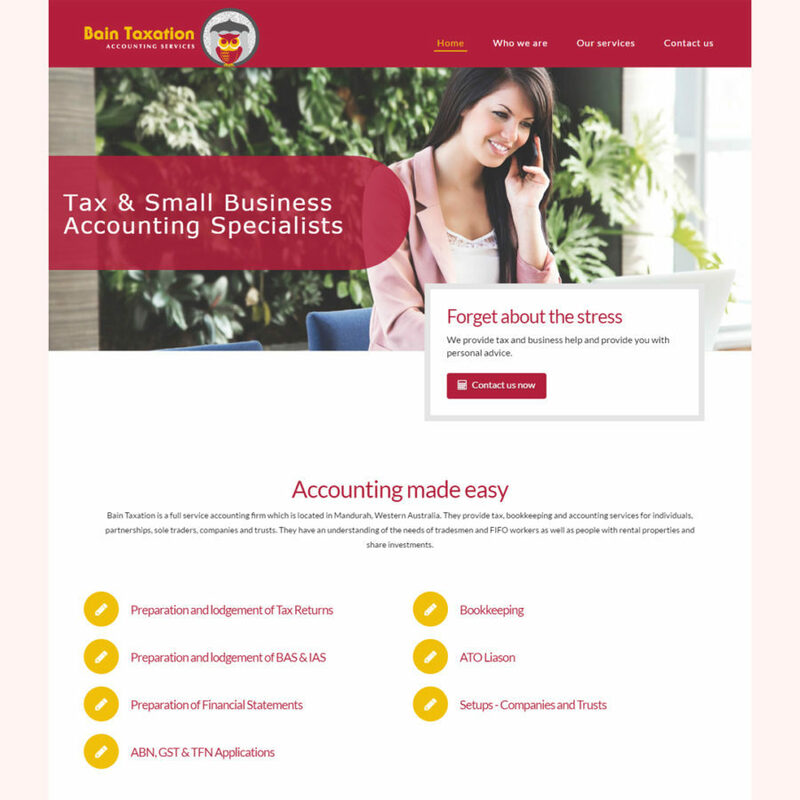 Bain Taxation’s website was designed by Mandurah Graphics to be clean, simple and attractive. The responsive design and mobile friendly content makes it ideal for busy clients to access on the go.